Hannibal, MO — On Sunday, Nov. 15, the Hannibal Police Department received a report that Christina Whittaker was missing. Whittaker, 21, was described as white, 5-foot-5, and weighing 180 pounds. She has brown eyes and red hair. Whittaker was last seen leaving a bar in the 600 block of Broadway at approximately 11:45 p.m. on Friday, Nov. 13. She was wearing a white T-shirt, pink tank top, jeans, and pink and white Nike shoes. The police reported Sunday there was no information to suggest foul play. Anyone with any information regarding Whittaker is requested to contact the Hannibal Police Department at (573) 221-0987 or by using the crime tips link at www.hannibalpd.com (http://www.hannibalpd.com). Hannibal, MO — .Police broadened their search for a missing Hannibal woman Tuesday, but did not suspect foul play. Twenty-one-year-old Christina Whittaker disappeared at 11:45 p.m. Friday after leaving Rookies Sports Bar at 611 Broadway. Hark said detectives were conducting a wide search that included the assistance of a Missouri Water Patrol boat, the use of all-terrain vehicles and the help of other law enforcement agencies. Hark said Whittaker’s family had been cooperative. He called the intensive search a “typical response” by his department to a missing persons report. “We always broaden our scope,” he said. “We’re trying to follow up everything we can. Investigators said Whittaker met with friends Friday night at the downtown bar. Witnesses said Whittaker left the bar by herself and was last seen wearing a white T-shirt, pink tank top and pink and white Nike tennis shoes. “Other information from witnesses indicates while at the bar Christina was not only consuming a large quantity of alcohol but also taking prescription medication,” according to a police report. Court records show Whittaker’s last known address as 1708 Ruby in the Oakwood neighborhood on the southwest side of the city. People with information should call the department’s Criminal Investigation Division at (573) 221-0987. HANNIBAL, Mo. -- Police in the northeast Missouri town of Hannibal do not suspect foul play as they continue to search for a 21-year-old woman missing since Friday night. Christina Whittaker was last seen leaving a bar. The Missouri Water Patrol and searchers on all-terrain vehicles are also looking for Whittaker. The Hannibal Courier-Post cites a police report saying Whittaker was asked to leave the bar because she was extremely intoxicated and was disorderly. Witnesses say she left by herself. 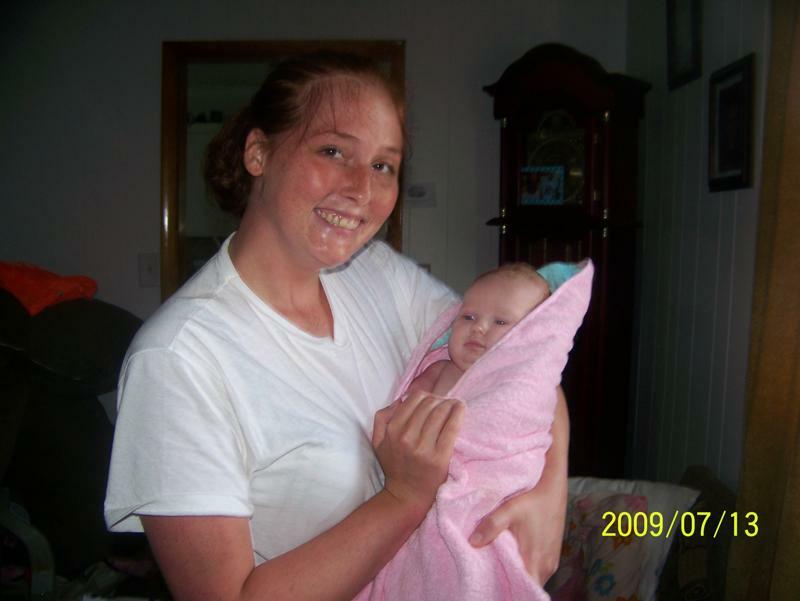 Thursday, November 19, 2009 at 11:31 a.m.
Hannibal Police are asking again for your help to find a young woman, missing since Friday. Investigators have been following every lead to find 21-year-old Christina Whittaker of Hannibal. Eyewitnesses last saw her around midnight Friday when she was asked to leave Rookies Sports Bar in Hannibal. Since then police have searched outlying areas as well as the Mississippi River on Tuesday, looking for any clues into her disappearance. Captain Jim Hark with the Hannibal Police Department says investigators have followed every lead, even into other cities and with the help of other agencies. But now they're out of leads...and are asking for your help to find this missing woman. What is the Hannibal Police Department doing to find Christina Whittaker? Captain Hark said, "We have our entire detective division working on this case. We've followed every lead. Right now we have no reason to suspect foul play but we're not ruling it out because we just don't know." Captain Hark says Whittaker has been listed on the Nationwide network of missing persons since she was reported missing. Whittaker has a six month old baby at home. Anyone with information regarding Christina or her whereabouts should contact the Hannibal Police Department at 573-221-0987. HANNIBAL, Mo.-Imagine not hearing from your daughter, or even having a clue as to where she is, for six days. That's what a Hannibal mother is struggling with tonight. 21 year old Christina Whittaker hasn't been seen or heard from since last Friday night. Police say that's when she left a downtown bar alone and intoxicated. Hannibal Police Chief Lyndell Davis says the department has five investigators working this case trying to find anything that will lead them to the whereabouts of Christina Whittaker. He says there's nothing to indicate foul play, but it has not been ruled out. While the investigation continues, Christina's family holds out hope for her safe return. "We love her and we have to have her home. "Next Thursday's Thanksgiving and I can't have it without her," said Cindy Young. Christina Whittaker's mom Cindy can't remember the last time she's gone this long without speaking to her daughter. "She has never gone a day in her life without talking to me on the phone or in person and has never, ever taken off," included Young. Which is why Hannibal Police are putting forth a full effort in finding out what happened to Christina Whittaker, who's also the mother of a young child. "We're utilizing any leads that we have. All the credible leads we have and even some not credible just to make sure we're not over looking anything," said Chief Lyndell Davis. Investigators say Christina was last seen at Rookies Sports Bar last Friday night around 11:45 p.m. Witnesses say she left the bar by herself and may have also been taking prescription drugs in addition to drinking alcohol. With little else to go on, Chief Davis says his department is using every resource it can to help solve this case. "We've also asked assistance from other state agencies, including water patrol. They did an investigation of nearby waterways, just in case. Thus far we've had no success in locating the lady," included Davis. But police and Christina Whittaker's family continue to hope for tips that could bring her home. "No matter how small you may think it is. It could be what brings her home," included Cindy Young. Christina Whittaker is five feet, five inches tall, weighs 130 pounds and has brown eyes and red hair. If you have any information, please call the Hannibal police department@573-221-0987. A Facebook page dedicated to the safe return of Christina has also been set up, providing up to date information. Hannibal, MO — .The search for a missing Hannibal woman entered its second week with no new leads. Twenty-one-year-old Christina Whittaker disappeared at 11:45 p.m. Nov. 13 after leaving Rookies Sports Bar at 611 Broadway. Investigators have said there’s nothing to indicate foul play, but have not ruled anything out. Whittaker’s last known address as 1708 Ruby in the Oakwood neighborhood on the southwest side of the city. Whittaker is described as white, 5 feet 5 inches tall with a weight of 180 pounds. She has brown eyes and red hair. Identifying Characteristics: Christina has a tattoo on her back, an outline of an angel 10" long and 8" wide on her left shoulder and a tattoo on her left ankle of a green Care Bear about 3" tall. Clothing: She was last seen wearing a blue jeans, a white v-neck top wth a pink tank top underneath, new white Nikes with a pink stripe. Jewelry: Wears a ring with a pink stone and cluster of diamonds about 1/2" long. Circumstances of Disappearance: Christina was last seen at Rookies Sports Bar around 11:45 p.m. Witnesses say she left the bar by herself and may have also been taking prescription drugs in addition to drinking alcohol. Medical Conditions: Christina has fibromyalgia, is bi-polar, and suffers from depression. Hannibal, MO — .“I knew from the first day something was very, very wrong,” said Cindy Young, whose 21-year-old daughter, Christina Whittaker, has been missing from downtown Hannibal since Friday, Nov. 13. “They found her phone on the ground on South Seventh Street,” a few blocks from the bar where she was last seen, Young said. “She has a 6-month-old baby,” she added. “I know she did not run off. She has never did it in her life. As news about Whittaker’s disappearance continues to spread - including informing the Nancy Grace show on CNN - Young is asking for prayers from the public, along with tips from anyone with information that might help find her daughter. At the request of Wesley Neff, leader of the NEMO K-9 unit, a candlelight vigil took place Tuesday night, Nov. 24, outside Rookie’s Sports Bar at 611 Broadway, where Whittaker was last seen on Nov. 13. “We prayed for her return and for a holiday miracle that she would make it home by Thanksgiving,” Young said. “I know if there was any way possible, she would have. She said a search for Whittaker was done door-to-door, along with a search of the riverbank and Bear Creek. The family did not celebrate Thanksgiving. “I have her turkey she bought in September, and when she gets home, we will cook her dinner then,” Young said. The family is accepting donations for a reward, with details on the Web site, findchristina.com. She is described on the Web site as being 5-foot-6, 130 pounds, with blue eyes and red hair. It also has a copy of the poster about her daughter, which she offered to e-mail anyone requesting it. “I have to give them credit,” Young said of the Hannibal Police Department, which has been investigating all leads since Whittaker’s disappearance was reported on Sunday, Nov. 15. Anyone with any information regarding Whittaker is requested to contact the HPD at (573) 221-0987 or by using the crime tips link at www.hannibalpd.com (http://www.hannibalpd.com). Tips may be posted anonymously. Capt. Jim Hark, HPD assistant chief, explained that Whittaker was last seen at about 11:45 p.m. Nov. 13 leaving the bar in the 600 block of Broadway. “We know from witnesses that evening that she was told to leave the bar,” he said. 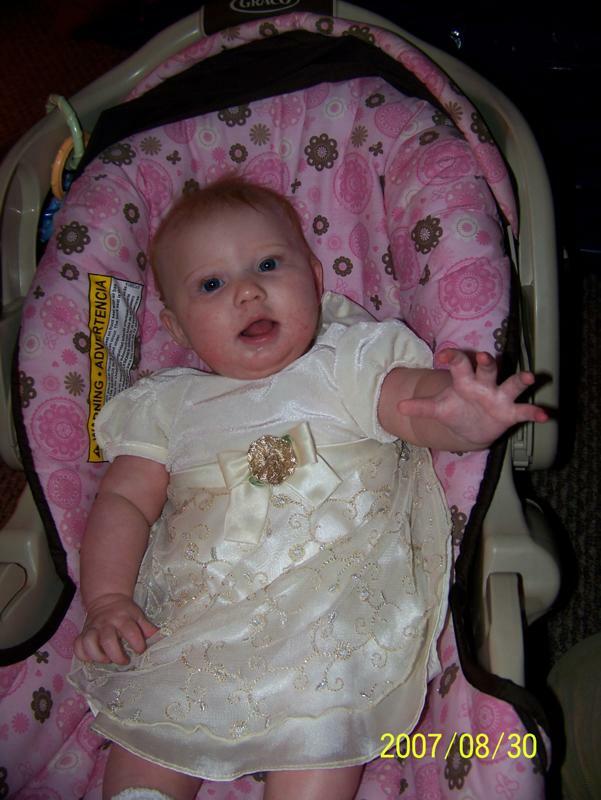 It was not unusual that the family waited until Sunday to report her missing, Hark said. “It’s not uncommon to have a person gone for a day or two, but after that, we start taking a hard look at what is going on. Young explained that Whittaker talked to her boyfriend at about 10:30 p.m. Nov. 13 and said she had a ride and would be home about midnight. “She told him she was going to stop by a restaurant and bring him something to eat.” That was the last time the family heard from her. Missouri police seek help finding missing woman. PEORIA — .Police in Hannibal, Mo., are seeking help in locating a missing woman believed to have been in the Peoria area recently. Christina Whittaker, 21, was last seen in Hannibal on Nov. 13. According to police, Whitaker has a small child whom she would not willingly leave and requires medication that she has not had access to since going missing. Whittaker was seen at Raedene's Country Cafe in Creve Coeur at about 4 a.m. Monday, according to information distributed by Peoria police. She is described as 5 feet 6 inches tall and weighing 130 pounds, with red hair and brown eyes. Anyone with information on Whittaker's whereabouts is asked to contact Hannibal police at (573) 221-0987. HANNIBAL, Mo. -- The search for a Hannibal woman missing since Nov. 13 has expanded to Iowa and central Illinois. Christina Whittaker, 21, disappeared late that night. She was last seen at Rookies Sports Bar in the 600 block of Broadway in Hannibal. Family and friends have searched from Keokuk, Iowa, to Peoria, Ill. They say they may have caught a break Sunday when Whittaker was reportedly seen in the East Peoria and Creve Coeur area. They were in the Peoria area Tuesday to continue the search. "We've got a couple of good leads," said Whittaker's mother, Cindy Young, in a phone message. "We had a woman in a (Peoria area) restaurant say she may have been in there Sunday morning, crying and upset. It seemed like she was hiding from someone." Whittaker was reportedly seen in Raedene's Country Cafe in Creve Coeur between 4:30 and 5 a.m. Sunday. Creve Coeur is next to East Peoria and is in the Peoria metropolitan area. East Peoria Police Chief Ed Papis confirmed this morning local law enforcement agencies are looking for Whittaker. The Young family enlisted the help of Wesley Neff, owner of Northeast Missouri K9 Search and Rescue. Neff uses a German Shepherd search dog named Zeus, who tracked Young's scent south of the bar a few days after she disappeared. Neff said he went with family to Creve Coeur Sunday afternoon and his dog may have hit on her scent again in the restaurant area. Neff used a shirt worn recently by Young to help his dog track the scent. "We got some pretty good indications over there (in the Peoria area)," Neff said. "He gave me a couple of positive indications, about as positive as can be ... We spent about 3 1/2 hours, and we talked to at least four people who said they may have seen her." A woman who owns the restaurant where Whittaker may have been Sunday described her "perfectly," Neff said, and she even called other customers who saw her. "She looked at Cindy Young and said, 'You have to be her mom,' " Neff said. "She looked like her, and she even described the way she walked." Hannibal police say they were told Whittaker met with friends at Rookies Nov. 13. She was asked to leave by the bartender after she became intoxicated and disorderly with other patrons, police said. Witnesses said Whittaker left by herself. Witnesses also said Whittaker not only was consuming large amounts of alcohol but also was taking prescription medication. The family is working with law enforcement in the Peoria area and putting up flyers asking for information. Neff said family is stopping short of saying Whittaker might have been kidnapped. "I'm not saying that, because local law enforcement won't back us up, but that's a very good possibility," Neff said. "I know she is not thinking clearly. She never went a day without talking to her mother." Neff said he came back to his home in Hannibal Monday while the family stayed to continue the search. "I believe they will find her," Neff said. "I believe in a mother's intuition. If something happens to her child, she feels it, and she doesn't have that. She believes in her heart her daughter is there, and I can't discount people saying she is there." Whittaker was last seen wearing a white T-shirt, pink tank top, jeans, and pink-and-white Nike tennis shoes. She weighs about 130 pounds and her hair is shorter than seen in recent photographs, family members say. Anyone with information is asked to contact the Hannibal Police Department Criminal Investigation Division at (573) 221-0987. Hannibal, MO — Police are investigating a report that a missing Hannibal woman may have been spotted at a restaurant in Central Illinois. In an exclusive interview with the Courier-Post, a waitress said 21-year-old Christina M. Whittaker came into Raedene’s Country Cafe in Creve Coeur between 4:30 and 5 a.m. Sunday. Taylor said Whittaker’s long, red hair had been dyed black or dark brown, but that her facial and physical features matched those in a photo later shown to cafe workers by police. Taylor said Whittaker came into the cafe alone with no purse or pocketbook and was wearing a pink short-sleeved shirt and black pants. Taylor said Whittaker looked over her shoulder several times as if someone was watching her. “I offered her something to drink and she didn’t want anything,” Taylor said. Whittaker asked for a pen and a piece of paper. Taylor said Whittaker wrote something down, but the waitress said she couldn’t make it out. Whittaker apparently called a woman in nearby Pekin, but did not get an answer. A woman later called the restaurant asking why she’d gotten a call placed from the cafe’s number, but apparently didn’t recognize Taylor’s description of Whittaker. At the time, Taylor didn’t know Whittaker had been missing since Nov. 13, when she left a downtown Hannibal bar alone. Taylor said Whittaker left the cafe and walked across the street. Taylor watched from a window, but lost sight of Whittaker as she stepped behind a building. Taylor said she did not see Whittaker get into a car. Police used tracking dogs, but the animals couldn’t pick up a scent. The missing woman also may have been spotted at a bar a couple blocks from the cafe Saturday night, Taylor said. Taylor met Sunday with Whittaker’s mother, Cindy Young, and other family members. “They kept hugging me over and over,” Taylor said. Creve Coeur is part of the Peoria metropolitan area, and sits on the east side of the Illinois River. Young said she and helpers have been putting up posters featuring Whittaker’s photo in Creve Coeur, Peoria, Pekin and other communities. A Creve Coeur police spokesman said an investigation continued, and Peoria authorities also had been notified. Hannibal Police Chief Lyndell Davis said his department had called Peoria area authorities early in the investigation after family and other sources had said Whittaker might have gone to Central Illinois. Davis said he hadn’t sent detectives to the region yet, but was keeping in contact with authorities. Davis called the case a “priority” for his department, but cautioned against speculation. Davis said his detectives had followed up on dozens of possible leads and looked at “several areas” where Whittaker may have gone. “We have explored those extensively,” Davis said. Davis said tips were welcome and could be made by calling police at (573) 221-0987 or logging on to www.hannibalpd.com (http://www.hannibalpd.com). Whittaker is described as five feet six inches tall with a weight of 130 pounds. Family members told police Whittaker has a six-month-old child who she would not willingly leave and requires medication that she has not had access to since Nov. 13. “I know she’s out there somewhere,” Young said. Wednesday, December 02, 2009 at 2:51 p.m.
More questions than answers in the case of Christina Whittaker. She's the Hannibal woman who's been missing since November 13th. Some media agencies report Whittaker may have been spotted early Sunday morning in the Peoria area. KHQA spoke with Captain Jim Hark with the Hannibal Police Department Wednesday afternoon about that. He told us his department was aware of the possible sighting on Monday, but after an investigation by HPD and police in the Peoria area, nothing substantial was found. The department is still following leads and would like any tips you may have. However, Hark tells KHQA any lead that's based on rumor can really hamper the investigation. The Hannibal Courier Post spoke exclusively with a waitress who said she waited on someone who could have been Whittaker on Sunday. That waitress claims it was Whittaker, but that her red hair had been dyed dark brown or black. The Hannibal Police also says it's spoken to that waitress, but that conversation didn't help the investigation. This case is also getting some national attention. wonder why this case has not been getting a lot of national attention???? because most people think she willingly went away??? Here is a website. She is still missing. It's sad she has not gotten any press. What makes the media discuss one case and not another? This is the little girl she left behind. I don't think she left willing and just disappeared. The baby looks bigger in the pic dated 2007 than the pic dated 2009. Are we sure it's the same baby? Your right. They are on her web site. Not labeled. Could the dates be wrong? A benefit to aid in the search and rescue of missing Hannibal woman Christina M. Whittaker will be held Saturday. The daylong event will take place at the Shirley Bomar Community Center, 253 Munger Lane. A bake sale begins at noon with carryouts of spaghetti and garlic bread with dessert and drink. The spaghetti dinner starts at 5 p.m., with a live auction at 6:30. A silent auction also is planned. Whittaker, 21, has been missing since Nov. 13, 2009. She was last seen leaving a downtown bar. A restaurant waitress in Creve Coeur, Ill., reported seeing Whittaker on Nov. 29, but the sighting was not confirmed. Whittaker is five feet six inches tall and weighs 130 pounds, with red hair and blue eyes. Her mother, Cindy Young, holds out hope. Tickets are $10. Children ages six and younger get in free. A Website has been set up for tips leading to Whittaker’s discovery. It can be found at www.findchristina.com. Tips also can be called in the Hannibal police at (573) 221-0987. Family and friends of a missing Hannibal woman hoped to rekindle her memory and remind folks of her disappearance. Thursday was Christina Whittaker's 22nd birthday. A candle light vigil was held at Central Park that night to remember her special day. You'll recall Whittaker went missing nearly five months ago after leaving a Hannibal tavern late one night in November. Christina's mother, Cindy Young, says special days like this are hard for her and her family. That's why they wanted to keep the lights burning for her safe return. If you have any information on the whereabouts of Christina, call the Hannibal Police Department or private investigator involved in this case at (217) 228-9114. Your tips will be held strictly confidential. The family is also raffling off a rifle to raise money to pay for the private investigator. You can buy tickets this Saturday at Farm and Home Supply in Hannibal. The drawing will be held March 31st at 1p.m. in Hannibal's Riverfront Park. by lindamarie on Thu Jan 28, 2010 7:42 pm Here is a website. She is still missing. Website is no good; it took me to GoDaddy. Hannibal police say they continue their investigation into the disappearance of a woman last year. Twenty-two-year-old Christina M. Whittaker was reported missing by her family after leaving a downtown bar visibly intoxicated on the night of Nov. 13, 2009. The case drew national attention. The last time anyone reported hearing Whittaker’s voice was when she made a cell phone call at 12:30 a.m. Nov. 14, police said. The cell phone was found later in the morning one block from the bar where she was last seen. Local and regional searches, including an alleged sighting near Pekin, Ill., proved fruitless. The department said it has called upon the Missouri Highway Patrol, Missouri Water Patrol and the FBI in its work. Whittaker’s family has said it is just interested in finding her. Whittaker is white, five feet five inches tall and weighed about 130 pounds. She has brown eyes and red hair. People with information about the case are asked to call (573) 221-0987, ext. 5, or go online to www.hannibalpd.com/crimetips. PEORIA, ILL. -- Peoria police say they don't know where a missing Hannibal woman could be, even though street reports put Christina Whittaker in a 30-block area there. A private investigator in Quincy told KHQA two months ago that he thinks Christina is in Peoria. He also said there are several reports of confirmed sightings, but police say those reports are not from credible sources. Christina's family posted her picture in several downtown locations, hoping for any new leads. KHQA's Rajah Maples found one Peoria store clerk who thinks she and another employee saw Christina in this KHQA special investigation. Christina Whittaker's picture sits on the counter in the Tony's Market neighborhood grocery store on Northeast Adams Street in Peoria. Dumeet Tamar said, "I got a report from two of my employees when the police department handed them this particular flyer, they thought but they were not absolutely sure that they might've seen this girl in the store." Dumeet Tamar who owns Tony's Market says his employees called police to report the possible sighting. Officer Doug Burgess with the Peoria Police Department said, "We don't have any confirmation that she's in the area. We have spoken with the detective and the private investigator. We've spoken with the family who has given us information that they've spoken with people who have seen her in the area, but we have absolutely no confirmed accounts that she's in this area." Officer Doug Burgess told KHQA a member of the police department's narcotics unit thinks he might have run into her in February 2010 but that she ran away from him. Burgess said, "In talking with our guys, they recalled an incident where a female looking similar to Christina Whittaker ran from them after they initiated contact with her. There's absolutely no way to confirm whether it was her or not, but they did say that the picture looked like the girl who ran. We can't say that yes, it was her or no, it wasn't." A private investigator said that Whittaker has some mental health problems and thus, could be easily manipulated. Burgess answered, "We do have prostitution/drug activity. As far as human trafficking, we don't see it all that much. I've never seen it in my career here." Officer Burgess told KHQA the department is working with the private investigator and Christina's mother. He said, "They're giving us information, but the information they're giving us is from people that we can't even find out who they are. They're not credible sources, and we have never seen her in this area. " A detective with the Peoria Police Department has been assigned to the case. Burgess said, "He puts out any kind of information he can to the district officers, the ones in the area where they think she might be. They go knock on doors. There are 13 reports in our system right now that every time he gets additional information, he will add it in there, so I have read that they have some locations where they heard she has been." But Burgess said the department does receive reports from time to time from people who say they think they might've seen her. Tamar said, "I cannot really with absolute certainty tell you that my cashiers have seen this girl. The likelihood, maybe 50/50. I really don't know." Christina would be 23 years old now. Rajah spoke with Christina's mother, Cindy Young, Wednesday. Christina's daughter, Alexandria, turned 2-years old last week. Young said she's spent a great amount of time hanging up posters throughout the Peoria area and talking with leads. She said she's heard from many people claiming to have seen Christina or at least a girl who looks like her. Young told KHQA she received a great amount of public backlash after our last report on Christina's disappearance aired in March. Young said, "When you have a nightmare, you wake up from it. We don't get to wake up. My daughter is gone. Don't sit there and judge her, judge our family. We do the best we can, and I don't believe my family walked away. I've been told she was dead many times. I don't believe that. God put it in my heart she's alive, and I know she'll come home. But don't judge us." If you have any information on Christina's whereabouts, you're asked to contact the Hannibal Police Department at (573) 221-0987.